Here is a list of the best fun things to do in Samana, Dominican Republic! The Samana Peninsula in Dominican Republic offers a fabulous array of exciting adventures for tourists. The Samana Bay itself is the most famous location on the planet to watch humpback whales as they migrate to warmer waters. Take a tour inland to discover a magnificent waterfall and lush tropical forests. Sail off to your own paradise island where you can soak up the sun and be pampered with exotic tall cool drinks. Sail above the trees on a zipline, explore the rugged terrain on an ATV or on horseback. Then scuba dive and snorkel to see the stunning variety of colourful fish and corals waiting beneath the surface of the water. These are the best Samana activities that will keep you at the edge of your seat. Setting off on the water is the first fun thing to do in Samana! This beautiful peninsula offers miles of coastline that is waiting to be explored. Local tours offer the choice of luxury yachts, catamarans and whale-watching vessels. Give them all a try, each one offers a different experience. 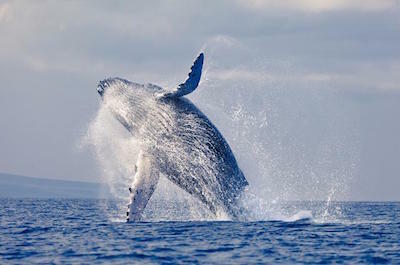 Be awed on the Whale Watching Cruise as you see these massive animals at close range. Enjoy a lecture and a traditional lunch. Sail on a catamaran to Cayo La Farola, where you can snorkel and be thrilled at the rich variety of colorful tropical fish at the barrier reef. Spend a romantic evening with a loved one on a luxury yacht, sipping an exotic cocktail as you watch the sun set over the Caribbean Sea. Exploring the surrounding region is a fabulous thing to do in Samana and is one of the best tours in Samana to take while on your vacation. Take a day trip to discover the inland venues that make this destination so enchanting. 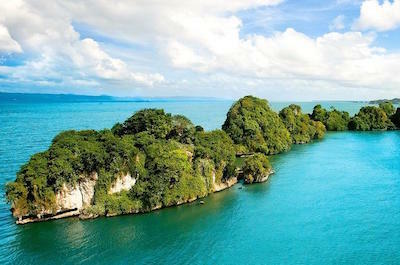 A tour to the beautiful Los Haitises National Park is a must. Explore mangrove forests, see caves and relax on a pristine unspoilt beach. Then join a day trip to the El Limón Waterfall. The trip offers the chance to ride on horseback into the remote areas, sail across the forests on a zipline and swim in the crystal clear pools under the massive waterfall. 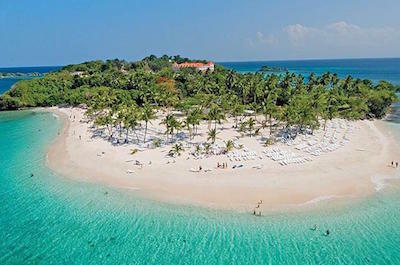 Hop onto a catamaran for a day trip across the Bay to the vibrant city of Punta Cana. Explore, eat, drink and do some shopping before returning back to your hotel. 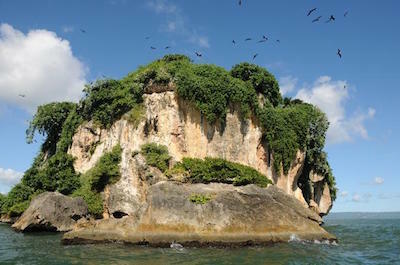 The sun drenched Island is made for being outdoors and exploring these options is another great thing to do in Samana. Walk, ride a horse, swim, relax on an unspoilt beach or fly on a zipline, there are options to suit all tastes. Start off with a visit to the stunning El Limón National Park where you will take a horse ride to the famous waterfall. Then get hooked up to the zipline and speed over the tops of the forest to see amazing views and test your flying skills. A fast and rugged driving experience on an ATV at Playa Rincon will thrill those who love something different and you also get to see local villages, sugar plantations and one of the most beautiful beaches on the planet. Don't stay indoors! Get out, the Samana's points of interest are waiting to be explored! Want to do some sightseeing? Here are some fabulous things to do in Samana and the best Samana activities. Local tours are well planned and the guides are friendly and knowledgeable. You will be collected and dropped off at your hotel and tours include delicious traditional meals and beverages. 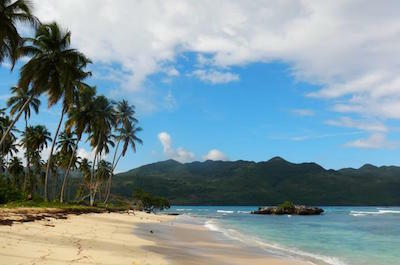 Experience a sightseeing tour to Rincon Beach where you can relax and soak up the ambiance of a paradisiacal beach. Take a tour to see the beautiful El Limón Waterfall in the protected Park and explore the surrounding plantations of sugar and coffee. Enjoy a round trip of the Samana Peninsula which includes a safari-truck ride to see the Port, a horseback ride on the beach and a boat trip to the awesome Cayo Levantado. Then head off on a full day tour to sightsee in Punta Cana, a fabulous, vibrant, colourful city packed full of Dominican delights and friendly people. 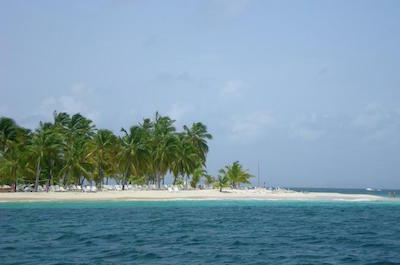 Getting away to a tropical paradise island is another fabulous thing to do in Samana. 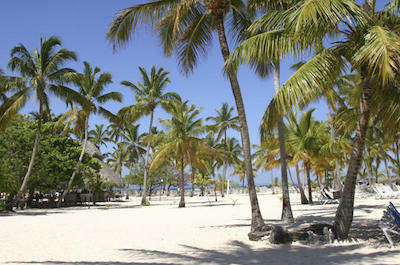 Find your own piece of paradise on Cayo Levantado, also known as Bacardi Island, a remote island off the coast. Sail there on a luxury yacht or a catamaran. Relax on the beach and enjoy exotic cocktails and tall cool tropical drinks. The island offers wonderful walking and hiking opportunities into the hillsides, where the views are spectacular. Water lovers can swim, snorkel and scuba dive. The variety of fish, corals and sponges are mesmerizing! Do some shopping at the quaint local gift shops where you will find a meaningful souvenir to take home. Party animals can dance the night way to the tune of a vibrant salsa band. 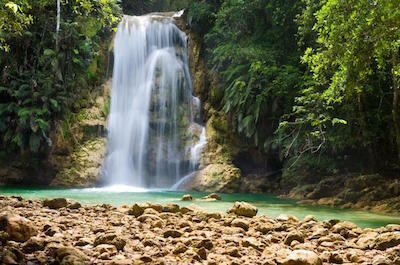 A visit to a stunning waterfall is the next thing to do in Samana. The amazing El Limón Waterfall is located in a protected park and tours will take you there to walk, ride on horseback and explore. This iconic waterfall is set amongst towering mountain passes in a rugged terrain that will enchant nature lovers. The lush green tropical forest surrounds this 150 foot high cascade of water as it crashes downwards into the pools below. Relax and listen to the roar of the water, take a horse back ride to explore the surrounding areas and swim in the natural swimming hole. If you are brave, swim at the bottom of the waterfall and make sure you take some pictures! Tours end with a delicious lunch at a traditional venue where you can chat to the locals. This is by far one of the best Samana points of interest. Discovering a paradise on Earth is another amazing thing to do in Samana. Rincon Bay is known the world over and is acclaimed in travel magazines, tourist guides and online sites. Now see it for yourself! The secluded beach offers a stunning setting of pristine white sand and azure blue waters. Set up under a colourful beach umbrella on a comfortable lounger and soak up the ambiance. For some exercise, explore the reef by snorkeling or scuba diving. The variety of colourful fish and coral will thrill. You can also explore on horse back or take an ATV ride. End your day with a meal of fresh seafood and an exotic drink while you watch the sun set over the ocean. Samana Bay is the best spot in the world to observe the migration of the humpback whales and this is a not-to-be-missed thing to do in Samana. These huge whales migrate from the cold Atlantic to the warmer waters during the winter months and hundreds of them pass through the Bay. Take a whale watching tour to get up close and observe these magnificent creatures as they swim, dive and play in the water. The bay is surrounded by fabulous protected tropical forests with natural caves which can be explored by foot or reached on horseback. Take a small boat and sail into the mangrove forests to discover the hidden lagoons that feed into the ocean. 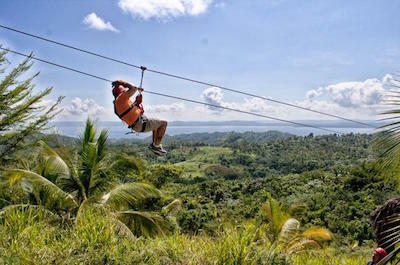 If you are brave, see the Bay from the heights of a zipline as you sail over the tops of the trees! Definitely one of the best Samana points of interest to explore. Ever wanted to be Tarzan? This is one of the fun things to do in Samana. Join the Samana Zipline Adventure and soon you will be flying from tree to tree above the rainforest. This extreme sport makes for an unforgettable experience. Your guide will give you a safety briefing and then provide helmet and gloves. Head up to platform, clip yourself to the rope and jump! You will zoom over the treetops, seeing amazing views of Saman‡ Bay, the stunning beaches of Cayo Levantado and the Los Haitises National Park. See nightingales and woodpeckers as you become one with the forest. There are 20 platforms and 10 different ziplines to try out on this amazing course. When you get back to earth and catch your breath, a cooling drink will be waiting for you. Minimum age is 4 years, wear comfortable clothing and a hat, not your leopard Tarzan outfit! Once you have seen the Parque Nacional Los Haitises from the heights of a zipline, the next best thing to do in Samana is to explore this magnificent region on the ground. This wild, untouched protected landscape lies along the coast and includes all the tiny islands on San Lorenzo Bay. 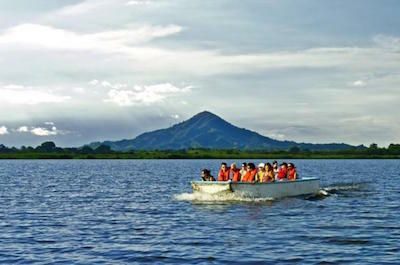 Join a guided tour and sail through the mangroves and swamps on a boat. Your guide will point out reptiles, oysters and crabs and then you will stop to explore fascinating prehistoric Indian Taino caves filled with cave drawings. The kids will be thrilled to know that these caves were used by pirates to stash their bounty and that this was the filming location for Pirates of the Caribbean. Bird watchers can spot brown pelicans, frigate birds and royal terns to add to their lists. The tour ends at Cayo Levantado where you can relax in a hammock swinging from a coconut tree and enjoy the stunning setting. A traditional Dominican buffet lunch will be served during this fun activity! Taking the family to learn about the rich history and culture of the Dominican Republic is a very interesting thing to do in Samana. Head off to Tainopark, a new museum just 15 away from Samana. It is a beautifully re-created venue with 25 outdoor scenes explaining the life of the ancient Taino peoples to the arrival of Christopher Columbus and the subsequent infamous days of the slave trade. Put on your MP3 players and walk from exhibit to exhibit learning fascinating facts as you stroll along at your own pace. The lectures are offered in 5 different languages. The Park also features 200 pieces of Ta’no art made from stone, clay and wood. If you have any questions, the friendly and passionate staff are available to advise. End your exciting adventure by buying a small locally made art-piece from the shop. The profits are used to uplift and develop the area.